Controversies • In the mid-1980s, he developed a sour relation with Amitabh Bachchan when the actor turned down the offer of making a guest-appearance in Kishore Kumar's production venture "Mamta Ki Chhaon Mein." The singer was so upset by Amitabh's gesture that he decided to stop singing for him. However, the two made peace after Kishore sang ‘Aaya Aaya Toofan’ in Amitabh's film 'Toofan', a few years later. 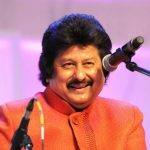 • He also stopped singing for Mithun Chakraborty after his 3rd wife Yogeeta Bali divorced him to marry Mithun. 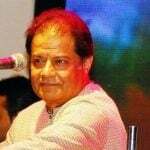 However, he could not avoid singing for Mithun for long and lent his voice for Mithun's film Surakkhsha (1979) and later on for several of his hit films – Disco Dancer, Faraib (1983) and Waqt Ki Awaz (1988). 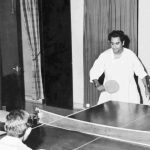 • During the Indian Emergency (1975–1977), when Sanjay Gandhi approached him to sing for an Indian National Congress (INC) rally in Mumbai, Kishore Kumar refused the offer. 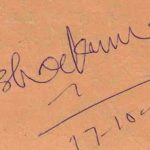 As a result, the then Congress Government put an unofficial ban on playing Kishore Kumar's songs on State Broadcasters Doordarshan and All India Radio from 4 May 1976 till the end of Emergency. • In the 1960s, he built up notoriety for coming late for the shootings or bunking them. 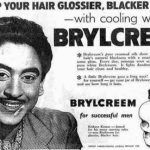 As his films flopped frequently, Kishore Kumar landed in income tax trouble. 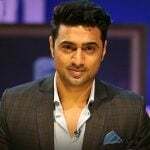 He was born in a Bengali Family as Abhas Kumar Ganguly. 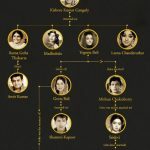 His father, Kunjalal Ganguly (Gangopadhyay), was a lawyer while his mother, Gouri Devi, came from a wealthy Bengali family. 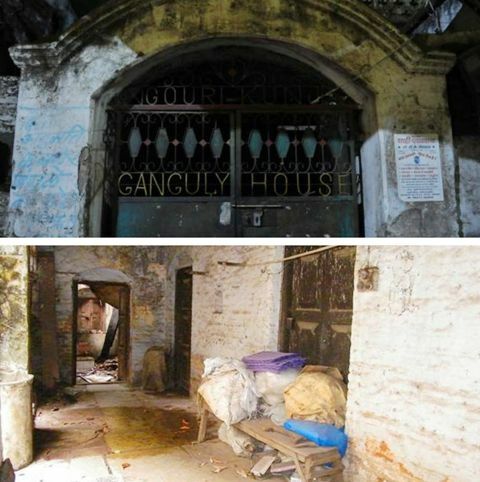 Kamavisadar Gokhale family of Khandwa had invited his father, Gangopadhyay, to be their personal lawyer. Kishore was the youngest of 4 siblings (2 brothers and 1 sister). 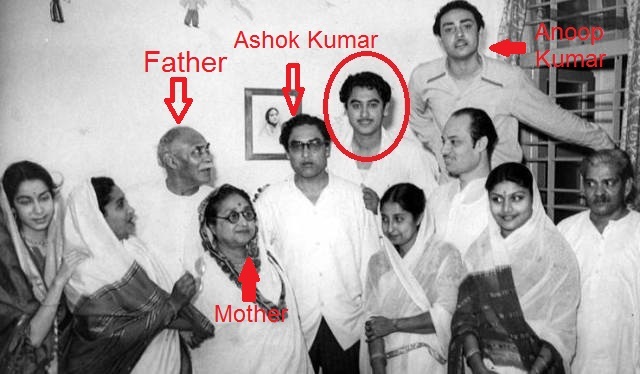 While Kishore Kumar was still a child, his eldest brother, Ashok Kumar, became an established Bollywood actor. Later, his elder brother, Anoop Kumar, also ventured into acting with the help of Ashok Kumar. Spending time with his brothers, Kishore Kumar became interested in Music and films. 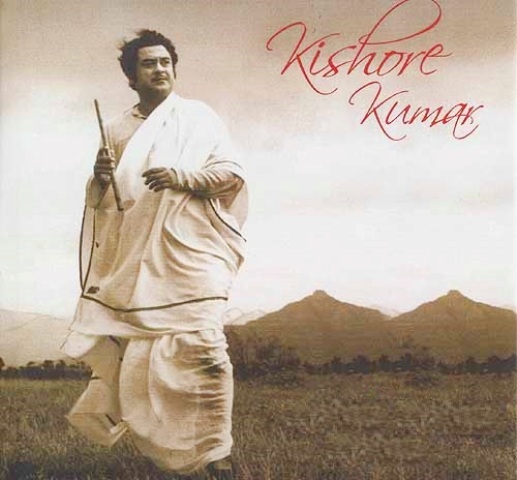 After visiting Bombay (now Mumbai), Abhas Kumar changed his name to “Kishore Kumar” and began his film career as a chorus singer at “Bombay Talkies,” where his brother, Ashok Kumar, worked. After his first song in Ziddi, he was offered many other songs. However, he was not very serious about a film career at that time. 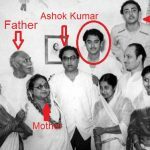 In the year 1949, Kishore Kumar settled in Bombay (now Mumbai). He appeared as a Hero in the film Andolan (1951) directed by Phani Majumdar. 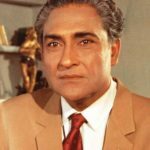 Ashok Kumar wanted him to become an actor. However, Kishore Kumar was more interested in becoming a singer. The Legend Music Director, S. D. Burman, is credited with spotting Kishore Kumar’s talent for singing. 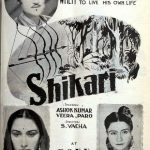 In the year 1950, it was during the making of “Mashaal” that S. D. Burman visited Ashok Kumar’s house and heard Kishore Kumar imitating K. L. Saigal. After complimenting Kishore Kumar for his good voice, Burman suggested him to develop his own style of singing, instead of copying Saigal. He had also acted in Hrishikesh Mukherjee’s directorial debut Musafir (1957). 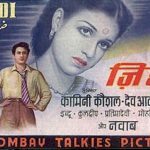 The Music Director for the film Naukri (1954), Salil Chowdhury, was initially dismissive of Kishore Kumar as a singer when he found that Kishore Kumar had not attained any formal training in music. However, after hearing his voice, he gave Kishore the song “Chhota Sa Ghar Hoga,” which was supposed to be sung by Hemant Kumar. 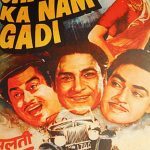 As an actor, Kishore Kumar had appeared in several hit films like “Chalti Ka Naam Gaadi (1958),” “Half Ticket (1962),” “Padosan (1968),” etc. 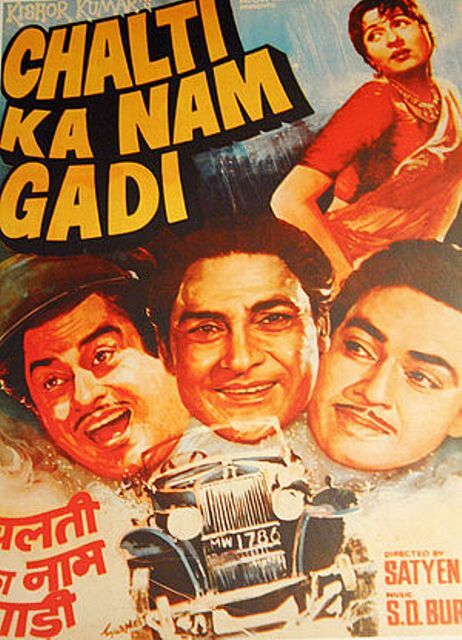 Chalti Ka Naam Gaadi (1958) was his home production, in which the three Ganguly brothers and Madhubala were in main roles. 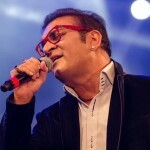 Music Director, Salil Chowdhury, had a duet in mind for the song “Aake Seedhi Lagi Dil Pe” from the film Half Ticket (1962) and wanted Lata Mangeshkar and Kishore Kumar to sing the song. However, due to unavailability of Lata, Kishore Kumar had to sing both the male and female parts of the song himself. The duet was actually picturised on Pran and Kishore Kumar, in which Kishore Kumar was dressed as a woman. Kishore Kumar is famous for his “Yodeling” style of singing, which he had learned from the records of Jimmie Rodgers and Tex Morton. The Legend Music Director R. D. Burman and Kishore Kumar had a great bonding with each other and the duo had worked in several hit films like Taxi Driver (1954), Funtoosh (1956), Paying Guest (1957), Guide (1965), Jewel Thief (1967), Prem Pujari (1970), etc. Kishore Kumar and Asha Bhosle have performed several duets composed by R. D. Burman like “Chhod Do Aanchal” from Paying Guest (1957), “Haal Kaisa Hai Janaab Ka” and “Paanch Rupaiya Baara Aana” from Chalti Ka Naam Gaadi (1958). The film Jhumroo (1961), was produced and directed by Kishore Kumar. He also acted in and composed its music. 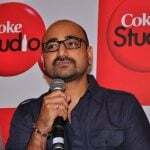 He wrote the lyrics for the film’s title song- “Main Hoon Jhumroo” too. 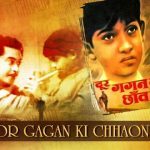 Ha had also produced and directed the 1964 film “Door Gagan Ki Chhaon Mein.” He composed the music and wrote the script for the film too. 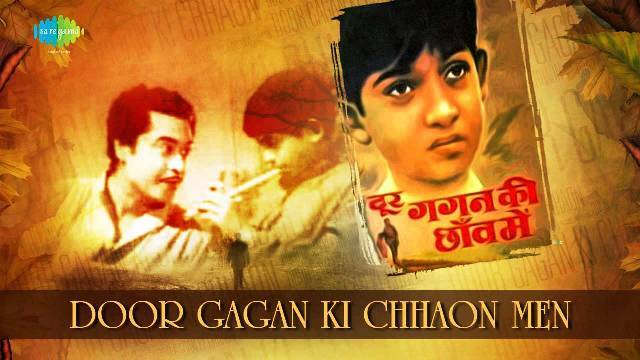 In the film, Kishore Kumar and his son Amit Kumar played the role of father and son respectively. 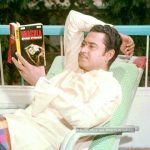 Kishore Kumar’s voice is supposed to be the reason behind the stardom of Rajesh Khanna as many of his films had songs of Kishore Kumar that were chartbusters of that period. 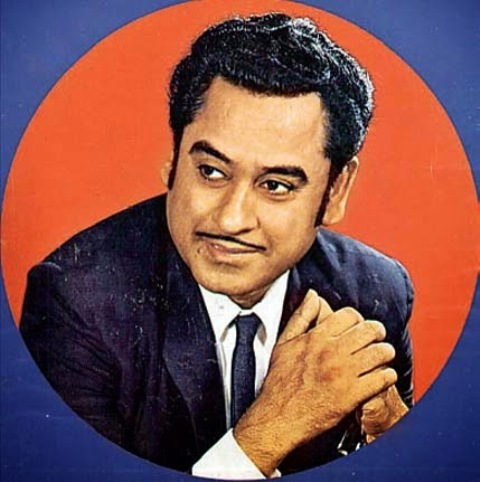 Kishore Kumar is considered as the most versatile singer of Bollywood as he was known for moulding his voice-pitch according to the actor on the screen. Besides Rajesh Khanna, Kishore Kumar became the voice for Dharmendra, Amitabh Bachchan, Sanjeev Kumar, Jeetendra, Shammi Kapoor, Dev Anand, Shashi Kapoor, Vinod Khanna, Mithun Chakraborty, Raaj Kumar, Dilip Kumar, Aditya Pancholi, Rishi Kapoor, Randhir Kapoor, Naseeruddin Shah, Anil Kapoor, Sanjay Dutt, Sunny Deol, Pran, Rakesh Roshan, Rajinikanth, Vinod Mehra, Kumar Gaurav, Chunky Pandey, Jackie Shroff and Govinda. In an interview, Kishore Kumar revealed that the song “Badi Sooni Sooni Hai” from the film Mili (1975) was his most favourite song. It was also the last song composed by S. D. Burman. In the 1970s, Kishore Kumar recorded several songs with R. D. Burman. 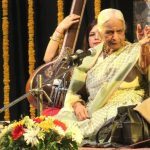 The duo has given a number of melodious songs to the Indian Cinema like “Yeh Jo Mohabbat Hai” and “Yeh Shaam Mastaani” from Kati Patang (1971), “O Maajhi Re” from Khushboo, “Chingari Koi Bhadke” from Amar Prem, “Raat Kali Ek Khwab Mein Aayi” from Buddha Mil Gaya. Although Kishore Kumar had no formal training in classical music, R. D. Burman often had Kishore sing semi-classical songs like “Mere Naina Saawan Bhadon” from Mehbooba and “Humein Tum Se Pyaar Kitna” from Kudrat. His last appearance as an actor was for the film Door Wadiyon Mein Kahin (1980). Kishore married 4 times. When he proposed to his second wife, Madhubala, she was suffering from Ventricular Septal Defect (hole in the heart) and was planning to go to London for treatment. 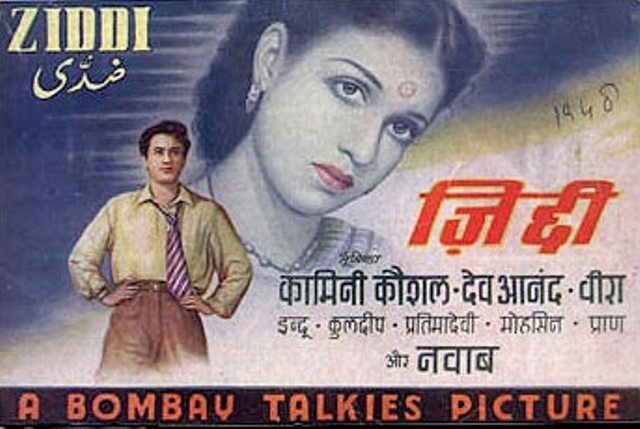 To marry Madhubala, Kishore Kumar converted to Islam and reportedly changed his name to Karim Abdul. 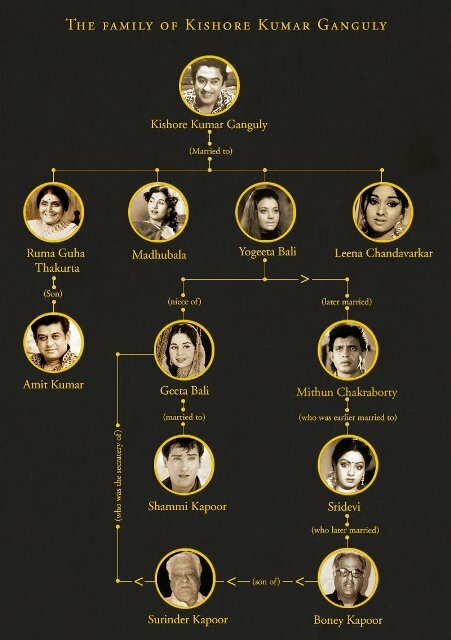 Kishore Kumar’s parents refused the marriage and never truly accepted Madhubala as Kishore’s wife. Very few of us know that the 1971 Classic film- Anand was initially offered to Kishore Kumar and Mehmood, instead of Amitabh Bachchan and Rajesh Khanna. 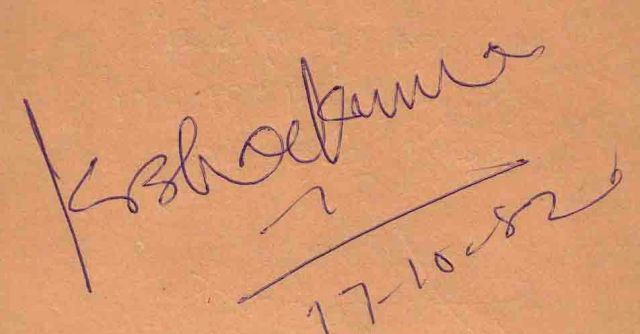 However, when Hrishikesh Mukherjee visited Kishore Kumar’s house, he was shooed away by Kumar’s watchman. 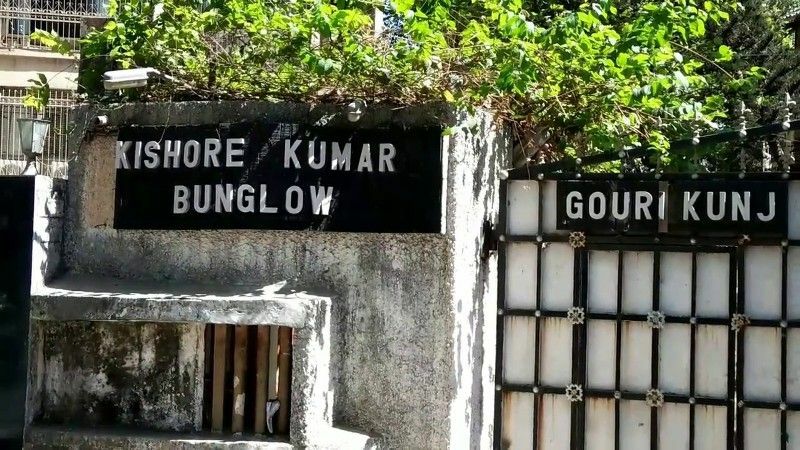 Actually, Kishore Kumar, who was not paid by a Bengali organizer for a stage show had instructed his watchman to shoo away that Bengali, if he ever visited his house and the gatekeeper unknowingly shooed away Hrishikesh Mukherjee. Kishore Kumar said to be usually got paranoid about not being paid. He used to sing only after receiving full payment by the producers. On one such occasion, when he came to know that he had not been fully paid, he visited the set with makeup on only one side of his face. When the director asked him, he replied “Aadha Paisa to Aadha make-up.” (Half make-up for half payment). On another occasion, when a producer named R. C. Talwar did not pay his dues, Kishore arrived at his residence shouting “Hey Talwar, De De Mere Aath Hazaar” every morning until Talwar paid up. To pay his tax arrears, he also used to do live shows. In spite of his “No Money, No Work” principle, sometimes he recorded free even when the producers were willing to pay him more. On one occasion, he helped Bipin Gupta (actor-turned-producer) by giving him ₹ 20,000 for the film Dal Mein Kala (1964). 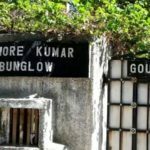 There are many reports about Kumar’s seemingly eccentric behavior. He had placed a signboard at the door of his “Warden Road Flat” that said, “Beware of Kishore.” According to one reported incident, when producer-director G. P. Sippy visited his bungalow, he saw Kishore going out in his car and when Sippy asked Kishore to stop his car, he increased his car’s speed. Sippy chased Kishore to Madh Island where he finally stopped his car. When Sippy questioned his abnormal behaviour, Kishore refused to recognise him and threatened to call the police. When next day they met, an angry Sippy questioned Kishore about his strange behaviour the previous day, Kumar replied that Sippy must have dreamt the incident and said that he was in Khandwa (Madhya Pradesh) on the previous day. 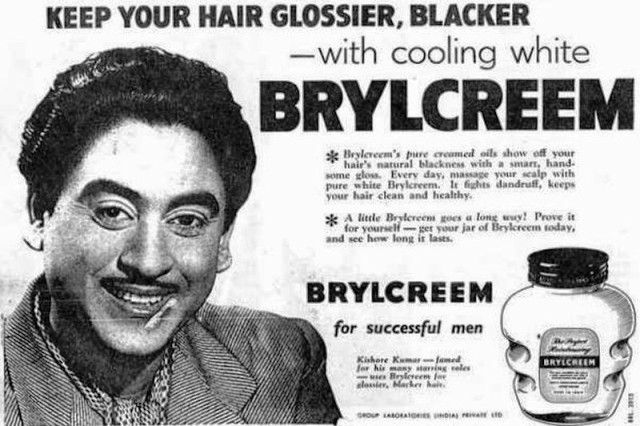 Kishore Kumar had endorsed the Brylcreem and was also a user of it. He never enjoyed the media attention and had devised his own way to stay away from the limelight. In his living room, he had placed skulls and bones in red lights and sounds backing them to shoo away the unwanted visitors. 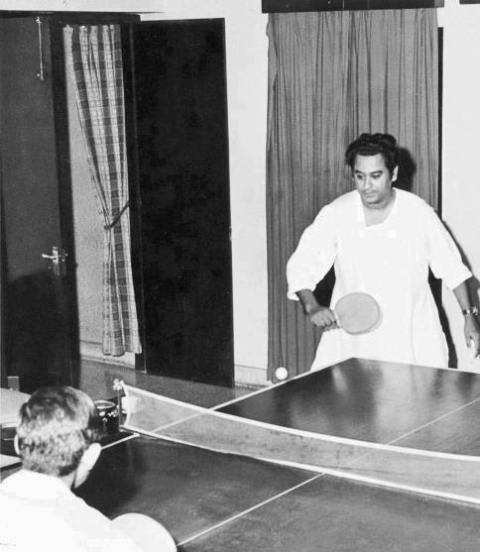 He loved to play Table Tennis. 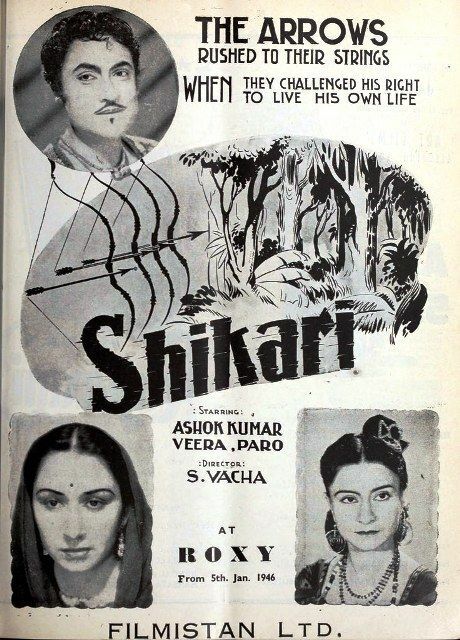 Throughout his life, Kishore Kumar was a loner. 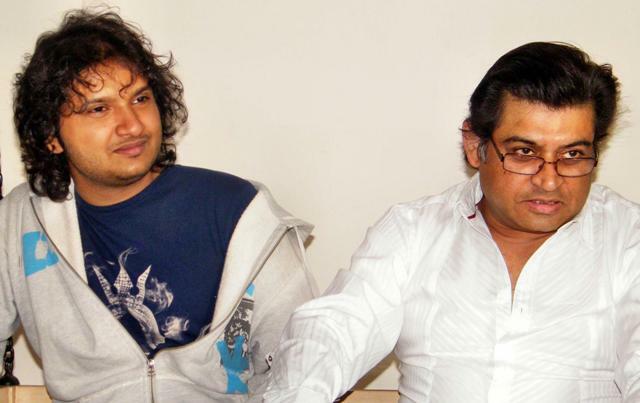 In an interview with Pritish Nandy, Kumar said that he had no friends. Once, when a journalist asked Kishore how lonely he must be, he took her to his garden, named some of the trees and introduced them to the journalist as his closest friends. Kishore Kumar holds the record (8 times) for winning the most number of Filmfare Awards for the Best Playback Singer, so far. He was a habitual reader of Novels. On 13 October 1987, on his brother Ashok Kumar’s 76th birthday, he died of a heart attack in Mumbai at 4:45 pm. His body was cremated at his hometown Khandwa in Madhya Pradesh. 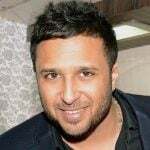 His last song was “Guru Guru”- a duet with Asha Bhosle for the film Waqt Ki Aawaz (1988). The song was composed by Bappi Lahiri featuring Mithun Chakraborty and Sridevi. The song was recorded the day before he died. He gave his last interview to Lata Mangeshkar. 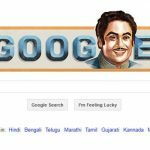 On 4 August 2014, for his 85th birth anniversary, Search Engine Google showed a special Doodle on its Indian home page for Kishore Kumar. His songs are considered evergreen and even today, a wide range of people across the globe listens to Kishore Kumar’s songs. 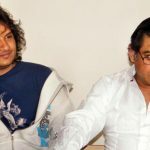 Whether it is Kumar Sanu, Mohit Chauhan or Arijit Singh, the established as well as the budding singers of the present day India, idolize Kishore Kumar in one or the other way. 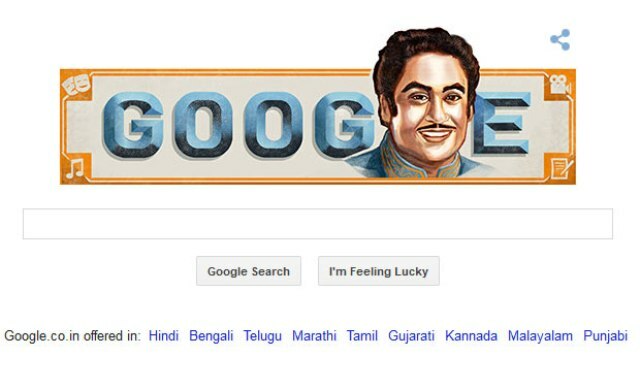 Among the Cricketers, Sanjay Manjrekar, Sachin Tendulkar, Shoaib Akhtar, etc., all are big fans of Kishore Kumar’s songs. In fact, Kishore Kumar’s evergreen numbers are a part of Indian batting legend Sachin Tendulkar’s routine. An official biopic on Kishore Kumar is being made by Anurag Basu featuring Ranbir Kapoor as Kishore Kumar.